The Contagion Chronicle is an overarching compendium of chronicle hooks, riveting settings, and Storyteller aids to help present all the Chronicles of Darkness game lines with one consistent story. In the chronicle, the Contagion acts as a motivational force and inspires the formation of factions where vampires, werewolves, mages, mummies, etc. come together in new and unique ways. Developed by Matthew Dawkins and currently on Kickstarter.com with just over a week to go. We asked Matthew a bit about the project and his work at Onyx Path Publishing. D&D Live 2019: The Descent will be a celebration of the Dungeons & Dragons community as they gather to learn about the latest storyline through an immersive entertainment experience. Following last year’s award-winning Stream of Many Eyes, this year’s D&D event will give fans in Los Angeles the chance to play through an epic adventure designed to plunge players into a captivating story. 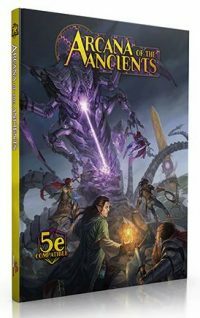 The three-day extravaganza will include a sneak-peak at upcoming products, signings with D&D luminaries, musical performances, unique giveaways, tons of amazing cosplay and of course a whole bunch of twenty-sided dice rolling critical hits! Dungeons & Dragons is publishing a book made in partnership with Penny Arcade that provides a way to jump into the comedic fantasy superhero D&D live-play you’ve seen on the stages of PAX for a decade. Fans will be able to live out their fantasy of climbing the corporate ladder of the most notorious retrieval agency in the Forgotten Realms—Acquisitions Incorporated. 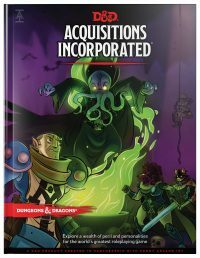 Join CEO Omin Dran, Jim Darkmagic, Môrgæn, and the chandelier-riding Viari around the table as a lowly intern or a freshly-minted franchisee with the new Acquisitions Incorporated sourcebook coming from Dungeons & Dragons on June 18! Rich Thomas, founder and Creative Director of Onyx Path Publishing, announced the launch of a Kickstarter recently to fund a prestige edition of the Contagion Chronicle, a crossover supplement based in the Chronicles of Darkness. Heat Up in February with a Fire-Themed Creative Challenge! Happy Death Day to You! Happy Death Day 2U!